As part of their handwriting lesson, Year 1 had to think of questions that they would like to ask the Queen! There was a vast array of questions: Do you have a cup of tea in the morning, do you tell your servants what to do, do you have any pets, what is your favourite ice cream and lots lots more. 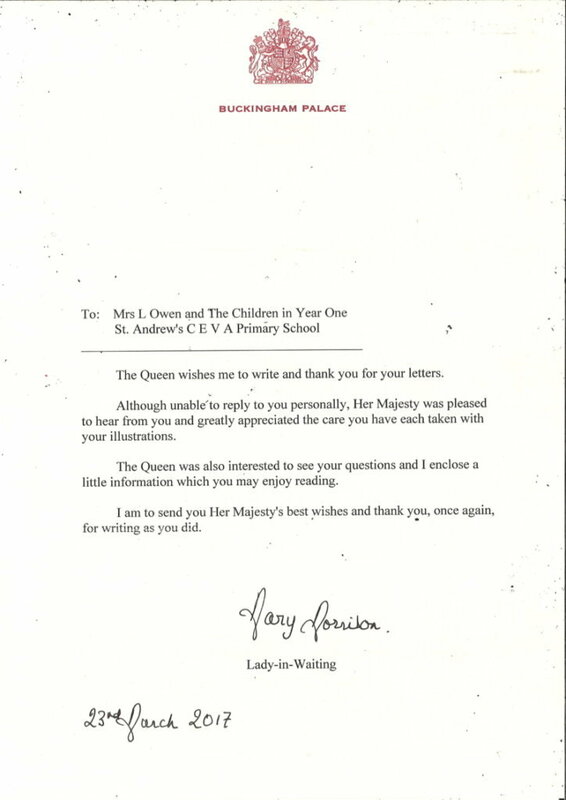 Mrs Frost and Mrs Owen thought it would be nice to put all the questions in a letter and post it to the Queen. A few days later Year 1 were delighted to receive a response! Even the envelope had a very special post mark – Buckingham Palace!